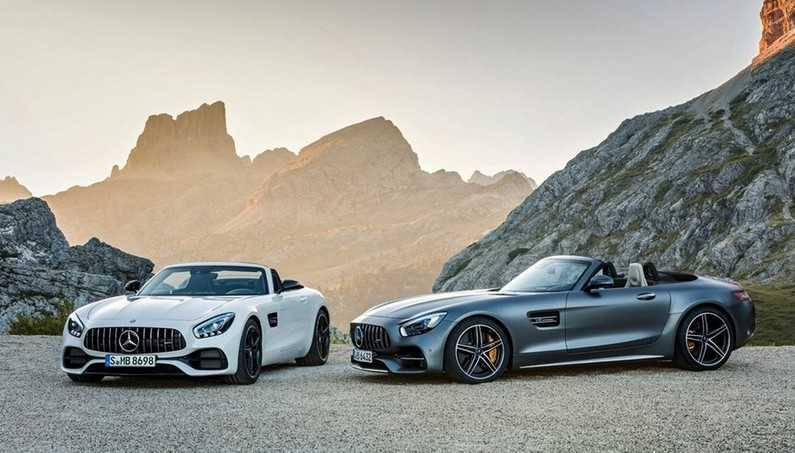 Mercedes-AMG GT and GT-C Roadster…Because We Like It Wild! 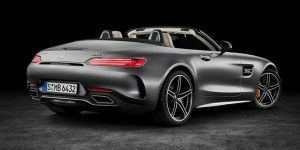 Mercedes is presenting two exciting and wild roadster variants of the two-seater sports car with which they are expanding the AMG GT family. 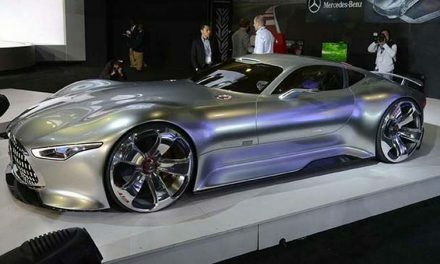 The result is a highly dynamic driving experience in a very fashionable ambiance. 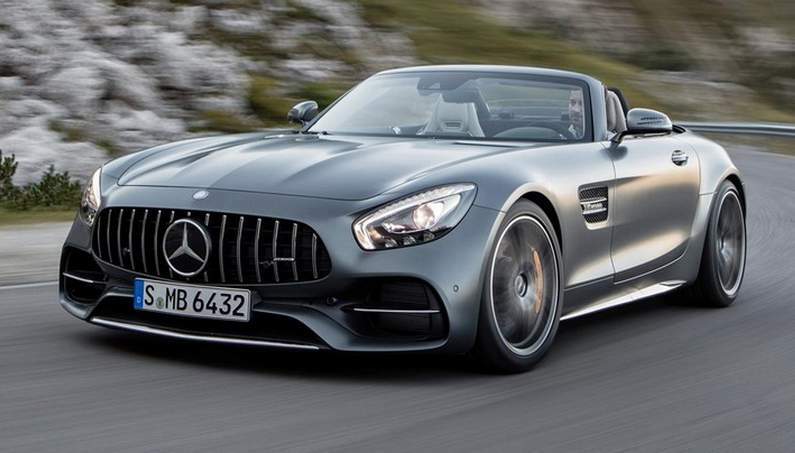 Together with the AMG GT Roadster, the AMG GT C Roadster improves the portfolio with a completely new model variant to which they have transferred main performance-related components from their best sports car. 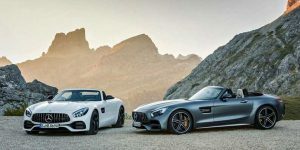 The new rides are based on the already existing Mercedes-AMG GT Coupe, which means they are featuring the same 4.0-litre twin-turbo V8 engine. They also share the 7-speed dual clutch automatic and the RWD layout. Therefore, you might ask what’s the difference between the GT and the GT-C? Well, the GT is the entry-level version. The 4.0-litre V8 produces 469bhp and 465lb ft. and the company says it can go from 0-62mph in 4 seconds. The GT-C, however, and the V8’s output is boosted to 550bhp and 502lb ft. 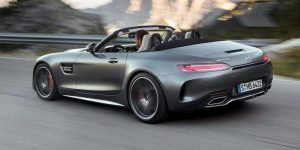 It is heavier because of the extra hardware including rear axle steering, but it’s faster – 3.7sec in the 0-62mph dash and a top speed of 196mph. Is there something more to the GT-C than just extra power?It’s a far more aggressive-looking machine, with bigger wheels and a wider rear track. Here are the Nappa leather interior, an AMG Performance steering wheel and a race mode for the transmission. Thanks to the variable dampers, it should be more capable in the corners than the GT. Also, there is the aforementioned rear-wheel-steering system. It is interesting that when driving less than 62mph, the rear wheels turn in the opposite direction to the fronts, while above that speed, they turn in the same direction – improving stability. 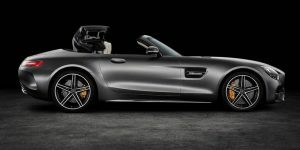 The hotter GT C can also brag about the AMG performance exhaust system with integrated flaps which allows a choice of quiet or loud modes. What both cars have in common is the locking differential. The roof mechanism can operate while driving, at speeds of up to 31mph. So, no one can get caught out in a sudden downpour because according to Mercedes, the roof will open and close in around 11 seconds. 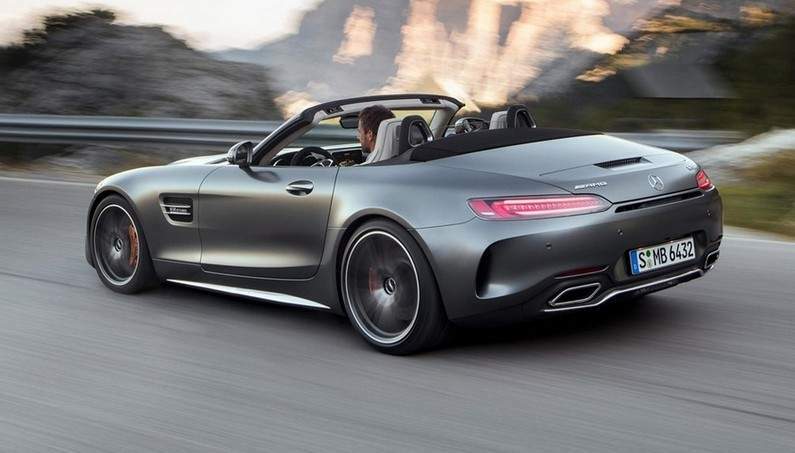 For those who want to choose interior and exterior colors need fear not, because the convertible roof comes in red, beige or black, while a range of eleven exteriors and ten interior colors are on offer. When it comes to the roof, the sill panels are thicker, additional bracing in the windscreen and dash areas is added, while a strut brace in the back stiffens the rear. But, what about the price? 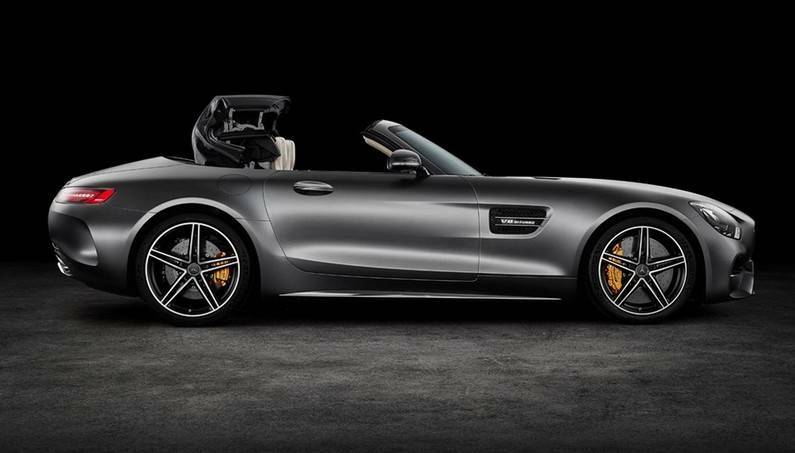 The AMG GT model is something more than $135,000 and that is only for the standard model. You can choose a model with Premium equipment line for additional $5000. 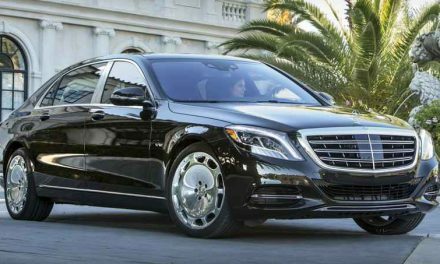 With that, you get Burmester sound system, door sill panels in stainless steel with AMG lettering, keyless-go, and Merc’s Parktronic system with reversing camera. 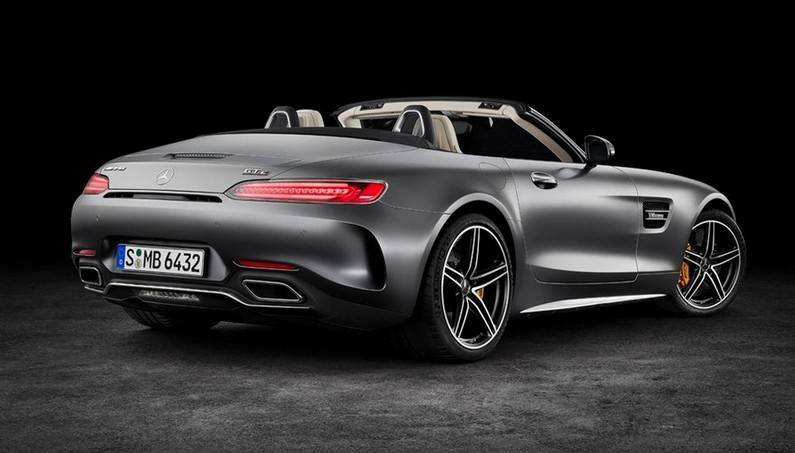 All of the mentioned is standard on the GT-C Roadster that costs around $175,775.This isn’t the first time we’ve seen the new Roadsters since they made their world debut at the Paris motor show in September 2016. The Fastest Cars on Nurburgring! Is Mercedes F1 Car Meant For Road Usage?